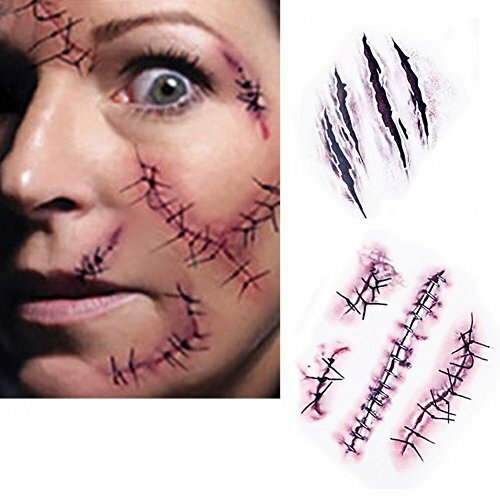 If you want to look a little different this year for Halloween but don’t want to head to the costume rental store or be stuck having to wear a mask all night at that party, then why not get a little creative and make a fake scar? You can do this yourself (video below) or get kits online. Get an early start this year and be prepared! This is perfect for scars that look more indented on your skin rather than sitting on top. Very realistic. Draw a line on your face, such as your cheekbone with a pink or red lip liner pencil and rub it in a bit as this will be the base of your scar. Don’t make the base too wide, just something narrow but the reddish pink will give it some depth. If you don’t have lip liner, you could use an artist or makeup brush and use your tube lipstick instead and simply brush on a line. Then put this product (Rigid Collodion) on your scar carefully as you don’t want to tighten other parts of your skin, you want this directed at the scar line. Put on a few layers letting it dry in between. It usually has a brush very similar to nail polish. Then take the shine off of it with face powder and some concealer once it has dried (which is very quick) and then to add some more dimension to the scar you can use some reddish lipstick and brush a little bit on the sides as if the sore spot is fresh and just starting to heal. This is very effective. You can get the Rigid Collodion on line at Amazon or your Halloween store. You can then use your own makeup supplies to dress up this scar. You could carry it a step further by adding yellows and greens to make it look nasty or inflamed or a bit more blood (fake blood of course!) if you want it to look very fresh. Another great way to make fake scars is to add some dimension to your face by mixing a little bit of oatmeal with liquid latex (which you can get online or at the Halloween store). 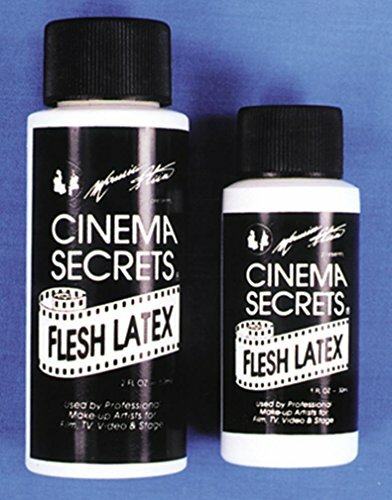 Liquid latex is very common for the base of costume makeup. Mix the oatmeal and liquid latex together in a paper cup or small bowl and then apply it to your skin in two skinny rows. This gives the appearance of a lifted tattered skin edge of a scar. Then let it dry or aim the hairdryer at it to dry it out, then fill in the center with some fake blood to look like a dried red scar. This process makes great scabs to if you would rather have a large ugly scab than a scar line. This product is the base for many Halloween makeup ideas and when mixed with oatmeal will make great scabs. This is another way to create a 3D effective scar on your face. Take some white craft glue and squeeze a curved line of it on a piece of waxed paper. Let it dry and then peel it off the wax paper and with some liquid latex, glue it to your face and then add makeup to the wormy looking scar to add some dimension and realism. Get creative with your scars. You could make this a very quick costume by dressing up nice like my “trick or treator” did and go for the “gasp” factor by then adding one really ugly looking fake scar and you will definitely be noticed at that party or out on Halloween Night for candy. Create the nastiest looking barely healed line on your face or neck or anywhere that will be noticed quickly. I have found it to be very effective if you just do one big scar that is very noticeable. You can dress it up different ways such as a well healed line or a nasty cut that looks like it just happened today with blood or one that is just starting to heal but still looks nasty. It all depends on the look you are going for. At that party everyone will love it and it will move with you which will make it noticeable. I really like the idea of getting creative instead of just wearing a mask to the party. If you make sure and have a few ingredients or supplies around early you can create this look quickly especially for those last minute Halloween party invites or if you just want to freak out your friends at any kind of costume party. I had a teenager come to my house last Halloween looking very pretty with beautiful makeup on one side of her face. At first I wondered what or who she was supposed to be until she turned her head towards me and said “trick or treat” and I gasped as there was this 5 inch long scar on the other side of her face, and another one on her forehead and chin that were very real looking. They looked very realistic like they were just a few days old. I thought the idea of her splitting her makeup for the Halloween costume like that was brilliant. Instead of simply showing up at the door with scars all over her face she made sure I saw her very pretty clear side first and then the other side and the contrast is what made this idea perfect for the night! She wore nice clothes and her hair was done nicely. Everything about her looked like she was dressed for a night out until you saw that side of her face. There are a few ways you can create a fake scar or tattered looking skin. 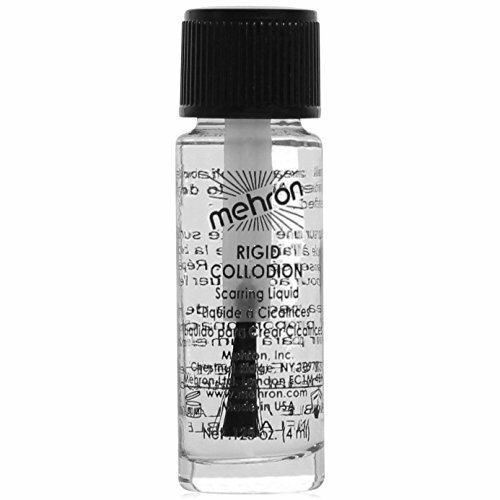 The first way is by using a product called Rigid Collodion. This product is safe to use on your skin and basically tightens the area it is applied to as id dries creating some depth to your scar.